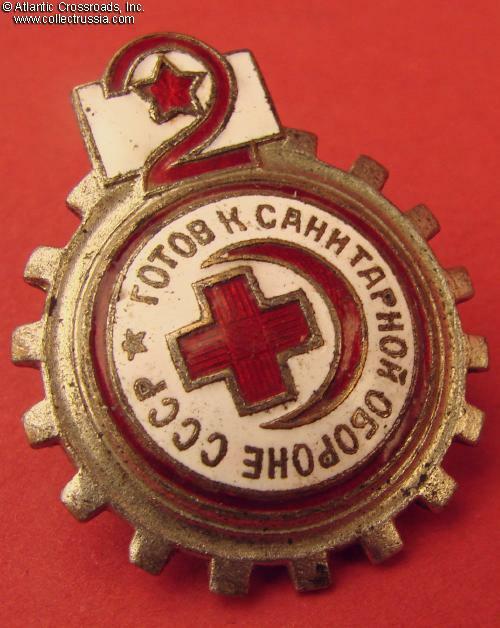 Badge "Ready for Medical Defense of the USSR", 2nd Level, 1934 - 1941. 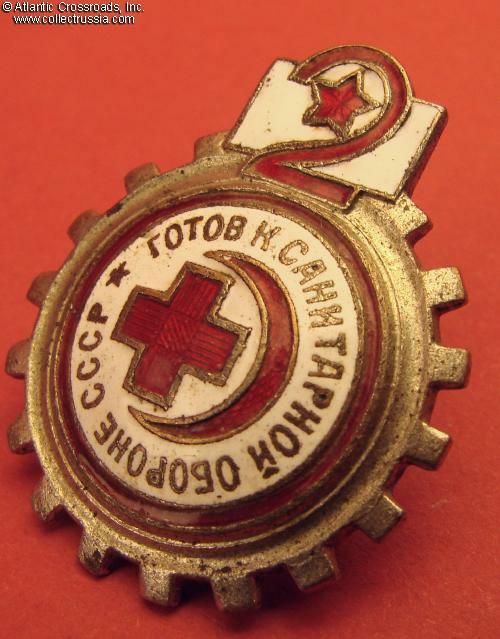 Steel, nickel plating, enamels. Measures 36.2 mm tall, 29.1 mm wide. Screw back version. In excellent condition. The enamel is extremely well preserved, especially for a badge of this type and era; shows nly tiny contact marks, no flaking or chips. The nickel plating is completely pristine. 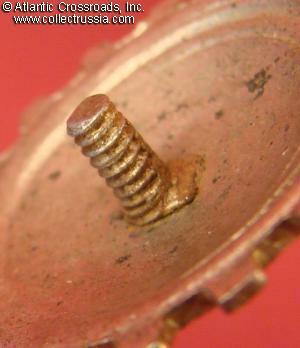 The screw post has been reduced to approx. 6 mm for convenience, but it is still functional and long enough to easily accommodate the screw plate. 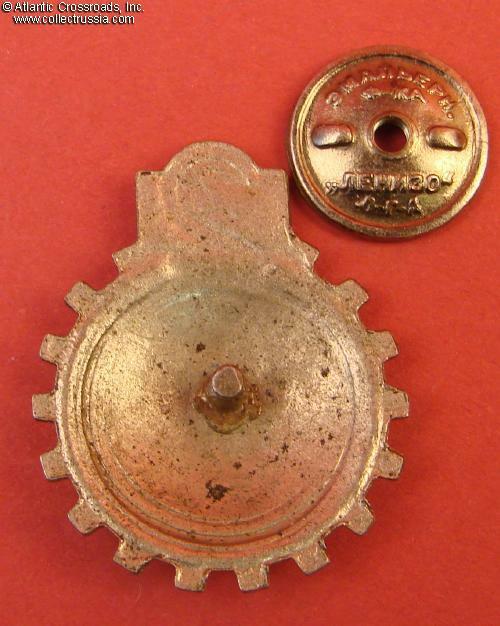 The screw plate marked "Lenizo Enamel Factory, Leningrad" is of the period and probably original to the badge. 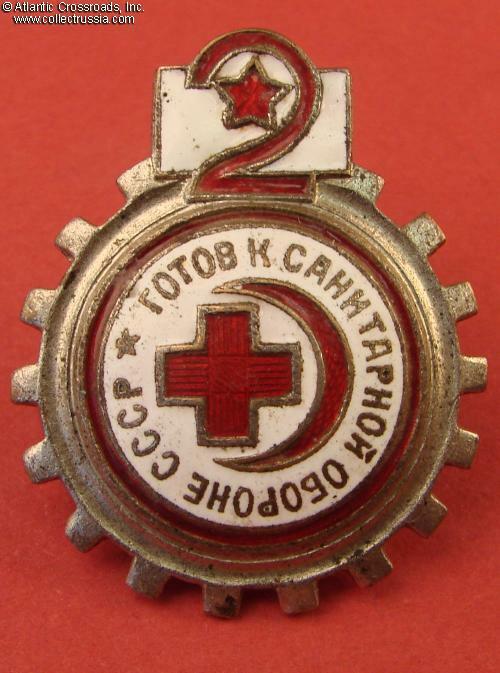 / Similar to "Badges of the USSR Defense Societies", p. 95, fig. IV, #27/.